Suffering from Orange Poop ,Red or Yellow? Read this article to learn about Orange poop in babies or adults and the treatments. Orange poop is a condition that can be seen in both kids as well as adults. What happens is, when you see a reddish or yellowish tint to the poop, along with a possible stomach pain, it is orange poop. In this article, we shall learn everything we need to know about orange poop – the causes for orange stool, all about red-yellow watery poop, orange poop in babies and adults along with the remedies for all of it. One is never up for checking out their stool after the acct, or to know about their bowel moments in general, but interestingly, a lot about your health can be revealed from your poop and also about your digestive system – how efficiently or inefficiently it is working. Now for instance, you can determine from your orange your colored poop that the orange color is probably because you must have had a lot of carrots. 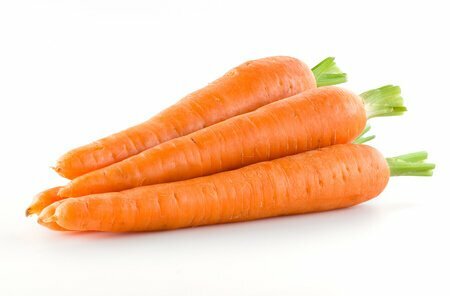 Apart from the coloration due to consumption of lot of carrots, it could also indicate some health condition you’re unaware of. Scroll down to know the causes behind orange poop. Elevated quantities of Escolar: Escolar is a kind of fish which contains massive quantities of fat. Consuming this fish in more number can lead to orange poop. The main reason why this happens is because our body cannot digest Escolar, thereby trying to flush it out from the body as it is – the way it is consumed. For Escolar, the digestive system is complicated. There is a reason why the fish has huge quantities of fat in its body. It happens because its digestive system is wired in a way where it prevents the breakdown of complex waxes coming from food it eats. Now this wax is stored in the flesh of the fish as oil, and therefore, when we eat it, it really sticky to be eaten. General preferences in food: Eating food like apricots, carrots, and pumpkins which have huge quantities of beta carotene in them on a daily basis can lead to having orange poops. Now this is not something you should be worried about. What’s more, all the foods rich in beta carotene are also rich in Vitamin A which is good for eyesight apart from having other benefits. Your body is mostly unable to absorb the artificial colors present in them, it can’t even break it down to simpler forms, and thereby flushing it down as it is when they were consumed. Hence, your stool appears orange in color. If you don’t plant to make any changes in your dietary habits, you may have to remain contend with orange poop forever. Intake of some supplements: Specifically, the supplements which have massive quantities of Vitamins leads to orange poop. The antacids which have the ingredient aluminum hydroxide in them can also make you end up getting orange poop. So, if you have orange poop, you might want to check the supplements that you are taking in and also check for the antacids. General problems in digestion: yet another reason for having orange poop could be that the food you’re eating is not at all being able to interact with bile salt. Or, it could be possible that the food is entirely untreated and is flushed out as it is. 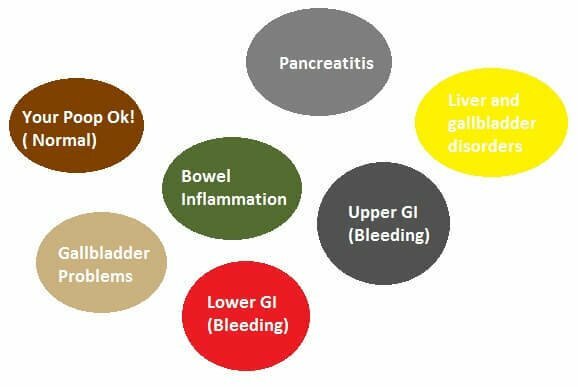 Bile is yellowish green colored liquid which plays a vital role in converting the stool the brown in color due to the chemical reaction with enzymes present in your bowel.This lack of absorption of bile can also be due to a lower bile production in your body. This in turn indicated cysts, gallstones or tumors as well. This also means that it can put down the quick stool passage through your body, meaning you could possibly have irritable bowel syndrome or short bowel syndrome. Invasion by parasites: some parasites residing in your body can also make you end up having orange poop. There are many parasites that can change the color of your poop. If this is the case, that your poop is indeed orange colored due to parasites, you might suffer from diarrhea, vomiting and nausea frequently. GERD: Gastroesophageal Reflux Disease: this is the health condition where there is some kind of a heartburn, sore throat and also chest pain. When this happens, the bile goes up to your throat via the esophagus. Because of this, the bile is away from digesting the foods when they are on their way out of your body via the throat. Some underlying diseases: blocking of bile ducts happen due to presence of gallstones. You might have heard of Crohn’s diseases. It is an inflammatory condition which affects your bowel. Apart from that, as mentioned earlier, it could also be due to irritable bowel syndrome or short bowel syndrome. Quite understandably, orange poop can come as shocker as that is not something you would ever expect. It might surprise you that even green stool is more common than orange stool. However, orange poop shouldn’t worry you – it is nothing serious and it gets resolved on its own within a few days. Having said that, it could also mean that there could be something more serious, depending on for how long you have been going through it. The other factors to be kept in consideration and some other causes are mentioned below. Stools are basically the waste coming out from our bodies. A lot of it depends on the kind of food we intake. For the very same reason, even the color of the poop depends on the food we eat and even though it isn’t a pretty sight to look at, one must check out the poop as you can determine many health conditions from it. Consumption of foods rich in vitamin A, beta carotene, etc. leads to orange poop. Apart from them, a few other food items like cilantro, pumpkins, carrots, apricots, etc can also cause orange poop. Moreover, even the fruits and vegetables like fresh thyme, spinach, kale, winter squash, and turnip green can cause orange poop condition in you. As stressed earlier, any kind of food items which have artificial colorings in them can also cause orange poop. This also applies for most of the preserved food items. Even though they don’t cause any other harms, regular consumption over an extended period of time can cause some other health conditions like obesity, cholesterol problems and liver diseases. In our case, red orange stool should be a sign for you to start eating healthier and better. Apart from the choices of food you make, orange poop could be possibly a sign of some other digestive problems. It could also be due to presence of gallstones or short bowel syndrome. You need to pay proper attention to any other kind of symptoms you may be having and can then report them to your doctor. If you have diarrhea, nausea or vomiting, these could be symptoms signifying that you probably have parasites. Cysts, fibrosis, primary sclerosing cholangitis, Acetaminophen toxicity, cirrhosis, and jaundice – these liver diseases can also lead to hinder the release of bile. At times, they can even prevent the formation of bile altogether. If you have undergone any medical tests like the CT scans or any other such tests, they can also lead to orange poop. But after a few days, it should be back to normal. Along with orange poop, there are some other symptoms as well which you may experience – cramps, extreme tiredness, stomach pains, or feeling malaise throughout the day. One may also feel weak during the course. Here are some other symptoms people have complained about – tearless crying, dizziness and at times, decreased urination. A condition called chronic orange diarrhea leads to loss of electrolytes and potassium from the body, thereby causing dehydration. Due to dehydration, one can suffer from dry skin, fever, remain confused, irritability, excessive thirst and dry mouth. Now if the condition sudden and there are no indications apart from loose, watery, off-colored stool, it could be due to a bacterial or a viral infection. This could be caused by anything – it could even be due to contaminated water or food. Meconium is a new born baby’s first stool. It’s thick and sticky. It is sticky because of the greenish black colored residue. Once passed, it never comes again. Stomach acids digest the food and then it is passed to the lower intestine. During the process, nutritional elements and water get absorbed into bloodstream, whereas the undigested elements like fibre will keep moving. Now if these undigested particles keep moving through the intestines at a smaller pace, the water will have plenty of time to get absorbed. After that, what will come out will be firmer. But, if these things are moving rapidly, water won’t get time to get absorbed and hence it will end up in getting loose poop. While moving through the intestines, the poop also tends to pick up some digestive juices, bacteria, bile, and some chemicals – this affects the color and the smell of the poop. It is a well known fact that breast milk is the perfect food for babies, which is why it is easier for them to absorb. At times, there is so little residue to come out of the body that chances are, the baby might not poop for days at a stretch. However, most babies pass orange poop, every time you feed them. For the babies who are formula fed, their poops are extremely dark and are less frequent comparatively. Having said, that, every baby is different from the other and what a normal poop for baby is – will always remain a debatable topic. If you are suffering from orange poop, before rushing to the doctor, you might want to try these remedies at home to cure it. Water: as dehydration is one of the most important reasons behind orange poop, its consumption in ample amounts to overcome the constipation can help soften and move hard poop. Prune juice: Sorbitol and huge amounts of fiber are natural laxatives for the body for treating constipation. Since sorbitol is not easily indigested by the body, it lets drawing lots of water while passing through the intestines. Ideally, it should start working within a very few hours. You can either drink prune juice glass once in the morning and then another one just before you go to the bed. If not this, you can always take a lot of prunes. The second method to have it is by adding it to a saucepan, adding 1 cup prune along with 2 cups water and some lemon juice for taste, bringing it to boil, then reducing the heat. After that, allow it to simmer for about half an hour. Let the mixture cool down and then you can have it. Baking soda: baking soda turns out to be really food for stomach pains and constipation. What it does it, it re-alkalizes stomach’s insides, thereby encouraging air inside to come out, and then it helps assisting the other things to pass out via the gut. This is how you can use it- fill a fourth of cup with warm water, add one teaspoon baking soda it. Very quickly, you’ll have to drink this mixture. If you don’t feel any better, you should repeat the same exercise after 4 hours. 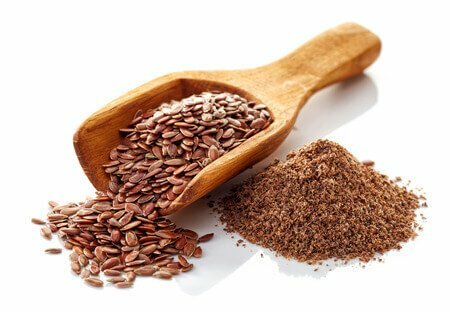 Take ground flax seeds – 3 tablespoons. Add a glass of water, mix properly and drink it. You can also mix the ground flaxseeds with yogurt and eat it. You need to repeat this thrice a day – morning once and two times before sleeping. Mix 2 teaspoons Epsom salt with either fruit juice or water, according to your taste. If your bowel movement doesn’t show any signs of improvement, repeat the exercise after 4 hours. In a glass on warm water, add 1 teaspoon honey, drink it. You can also add 1 tablespoon apple cider vinegar for additional benefits. Alternatively, you can add 1 pinch cinnamon to a cup of boiled water, simmer it for about tem minutes, and let it cool. Thereafter, strain the mixture, and then add some honey to it. You should repeat this 4 times throughout the day. Raisins: They are laxatives and have a lot of fiber in them. They help add bulk to your stool and also assist the movement of trapped stools. Add it to your daily diet to for preventing any kind of constipation problems. You can soak some raisins in some water. Let it stay overnight. In the morning, discard the leftover water, and eat all the raisins first thing in the morning. Moreover, you can also eat some raisins after every meal. Psyllium Husk: Most OTC laxatives have it as a chief ingredient. The fiber in it is insoluble and it assists the hard stools to soak up water along with encouraging bowel movements. Take half a teaspoon; mix it with warm milk or water and drink. Gradually, increase it to 2 teaspoons. You can have it before going to bed. Triphala Powder: vibhitaki and haritaki are present as a combination in Triphala Powder. It is a laxative and it stimulates release of bile along with other secretions to help bowel movements. Drink 1 teaspoon mixed in warm water on empty stomach in the morning. You can also add honey and drink it daily. Chia seeds: Basically, they act as brooms for our intestines and help in moving the trapped stools. Add 3 tablespoons of soaked chia seeds in 1 cup water, drink it after 20 minutes. Salt water and lemon: Lemon helps flush out toxins from stomach and small intestine. Magnesium in salt helps bowel muscles’ contractions. Add half a lemon to warm water, a teaspoon of salt and drink it. Do it 3 times a day. Turmeric and milk: this mixture is a great laxative and helps in removal of hard stools which trapped. To a cup of boiled water, add half teaspoon turmeric. Simmer it for 2 minutes, cool it and then add 1 teaspoon ghee. Stir it properly and the drink. You can repeat it after 4 hours if you don’t see any effects. Castor oil: it softens the poop and stimulates bowel movements. Take 1 dessert spoon castor oil on empty stomach. You can add orange juice for better taste. Also, for infants or toddlers, you can’t use it. Do not use it for longer periods.